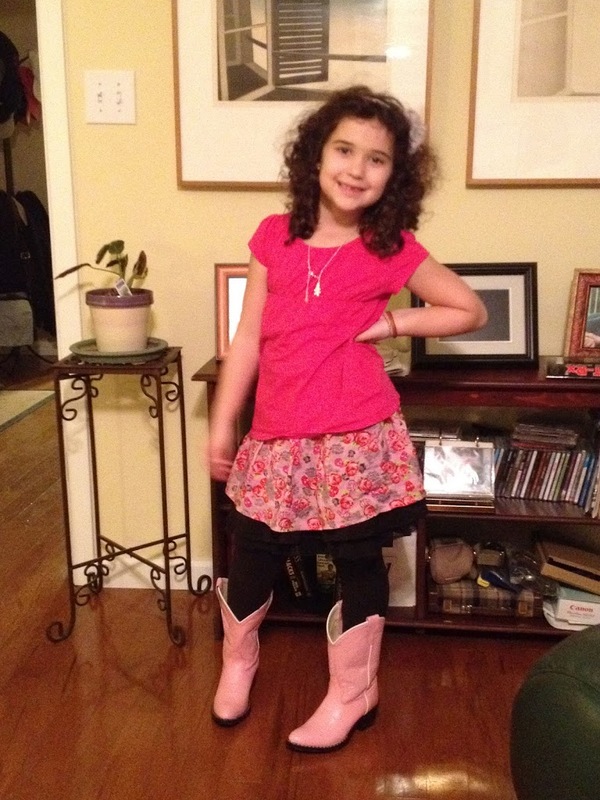 Sophie is now a Texas cowgirl fashionista. Look closely at the photo and you will see why. And yes, those boots go against everything I stand for in my blog. But it’s hard to resist an adorable six-year old who behaves amazingly well for five days on a trip far away from home. And the only other kids’ boots were an ugly brown. So I caved. Sophie is very proud of her boots and has every intention of wearing them to school. As we all know, she has a pretty wild fashion sense. And she doesn’t give a hoot about what others think. Who am I to stifle that independence and creativity? Besides, when in Texas, do as the Texans do. And the Texans buy cowboy boots.